This may be the perfect time for you to consider selling your Lake Havasu City home. Real estate market conditions are in your favor as the state continues to garner positive national attention, and with that, it’s attracting both families and retirees. 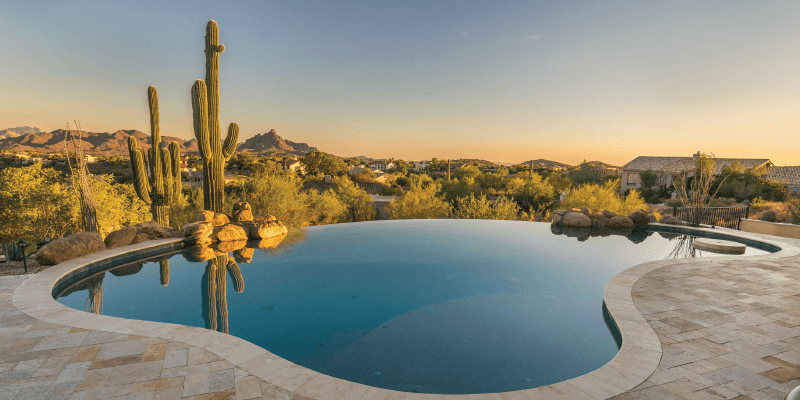 Of course, you don’t need convincing of the benefits of living or vacationing in Lake Havasu City. 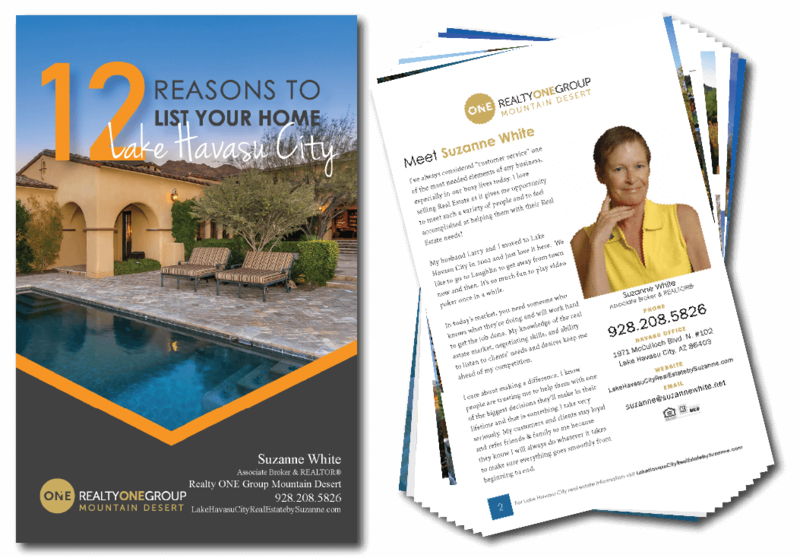 Since listing a home may often be a personal one that requires the consideration of a number of financial, lifestyle, and emotional factors, this booklet seeks to highlight 12 reasons to list your Lake Havasu City home today. You may have your own specific reasons in wanting or needing to sell your home, be sure to share these reasons with Suzanne White as we explore the best way to approach your potential home sale. Keep in mind that many of the reasons presented in this booklet are time and real estate market sensitive. Conditions change and you’re highly encouraged to verify market conditions early in your listing conversation. I’ve always considered “customer service” one of the most needed elements of any business, especially in our busy lives today. I love selling Real Estate as it gives me opportunity to meet such a variety of people and to feel accomplished at helping them with their Real Estate needs! My husband Larry and I moved to Lake Havasu City in 2002 and just love it here. We like to go to Laughlin to get away from town now and then. It’s so much fun to play video poker once in a while. 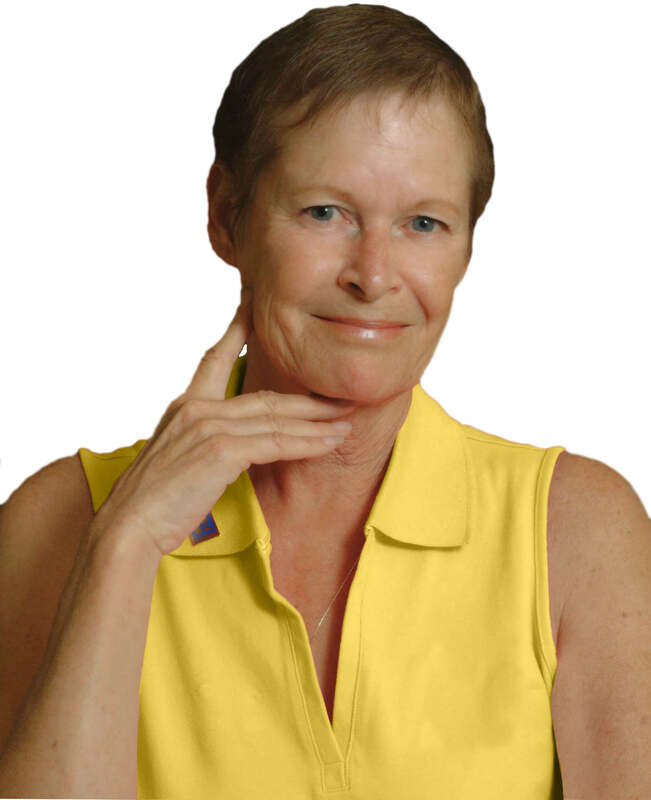 I am a licensed Real Estate Broker and a member of Lake Havasu City Association of REALTORS®, Arizona Association of REALTORS®, National Association of REALTORS®. I was the Education Chairperson for the Lake Havasu Association of REALTORS® for 2006-2007 , Vice President of Membership for the Lake Havasu Chapter Women’s Council of REALTORS® 2007, I served on the Board of Directors for the Lake Havasu Association of REALTORS® 2008, in 2009 President-elect, in 2010 President, and in 2011 Immediate Past President and 2011 – 2012 Director for Western Arizona Data Exchange (WARDEX) our Multiple Listing Service, Arizona Association of REALTORS®, Director 2009 – 2011. I am currently on the Arizona Association of REALTOR® Professional Standards Committee, Broker Associate for Realty ONE Group Mountain Desert since August 2016. In today’s market, you need someone who knows what they’re doing and will work hard to get the job done. My knowledge of the real estate market, negotiating skills, and ability to listen to clients’ needs and desires keep me ahead of my competition. I care about making a difference. I know people are trusting me to help them with one of the biggest decisions they’ll make in their lifetime and that is something I take very seriously. My customers and clients stay loyal and refer friends & family to me because they know I will always do whatever it takes to make sure everything goes smoothly from beginning to end. Copyright © 2019 - Suzanne White with Realty ONE Group Mountain Desert - All Rights Reserved.